Fewer than half of parents of children with disabilities develop plans to ensure that their child’s needs will be met in the event of the parent’s or other caregiver’s death, University of Illinois special education professor Meghan Burke found in a recent nationwide survey. CHAMPAIGN, Ill. — Fewer than half of parents of children with intellectual and developmental disabilities make long-term plans about who will take over their child’s care if the parent or other relative providing care dies or becomes incapacitated, a new study suggests. More than 380 parents – primarily mothers – of individuals with disabilities participated in a web-based national survey about planning for their children’s care. The parents who responded to the survey ranged in age from 40 to 83, and their offspring with disabilities were ages 3 to 68. Parents in the study were asked whether they had completed 11 items related to planning for their child’s long-term needs, such as identifying a successor to the current family caregiver, researching residential programs or establishing a special-needs trust. More than 12 percent of the parents who participated reported that they had taken none of these actions to ensure that their child’s needs would be met if the parent or other caregiver died or was otherwise unable to continue assisting the adult or minor child with disabilities. Because people with disabilities are living longer, they are increasingly outliving their parents, and planning for their future care should begin as early as possible, said the study’s lead author, Meghan Burke, a professor of special education at the University of Illinois. Some parents indicated that their planning efforts were thwarted by interpersonal conflicts – such as disagreements with the other parent about what should happen – or by family members’ refusal to discuss alternative arrangements. According to more than 7 percent of the parents in the survey, the topic was too “emotionally loaded” or stressful for family members to talk about. Financial constraints were significant barriers to succession planning for more than 46 percent of families; however, an even greater problem, according to more than 61 percent of parents in the study, was the dearth of residential, employment and recreational services that suited their child’s particular needs and abilities. A large number of parents – more than 39 percent of those in the survey – said their greatest impediment was simply obtaining information on developing a care plan for their child with disabilities. Unlike systemic problems such as a lack of services, access to information is a problem that’s relatively simple and inexpensive to fix, Burke said. “We can make some really positive changes here without spending a lot of money to do it,” she said. 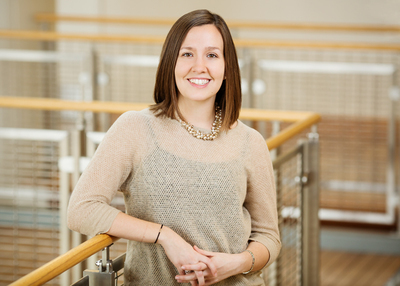 Editor’s notes: To reach Meghan Burke, call 217-300-1226; email meghanbm@illinois.edu. The paper “Identifying the correlates and barriers of future planning among parents of individuals with intellectual and developmental disabilities” is available from the News Bureau.